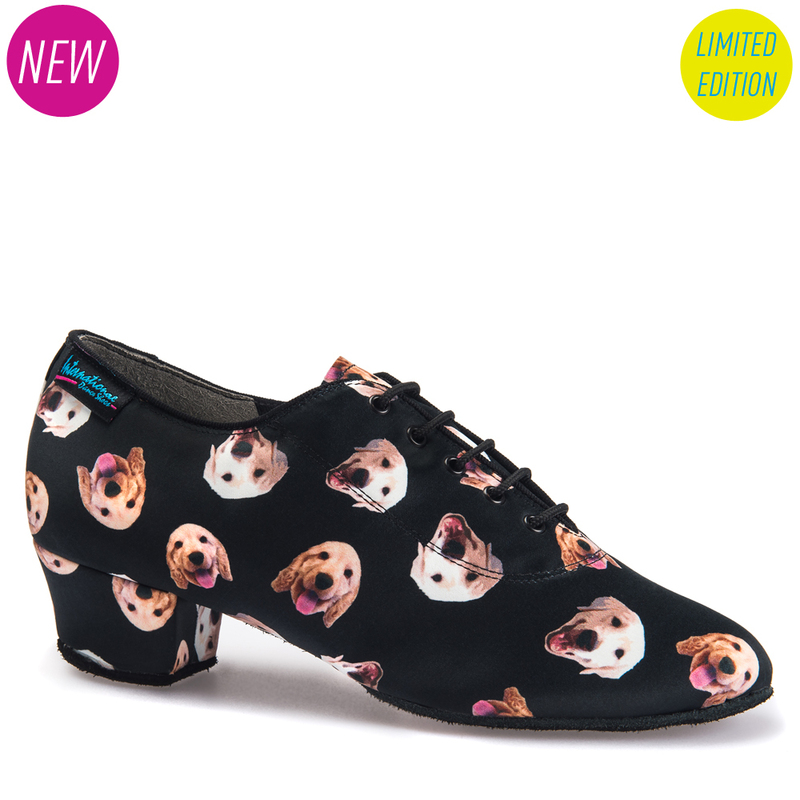 &apos;Shoe Dog&apos; is our latest limited edition &apos;Heather Split&apos; print and it&apos;s the most unique! We have put the photos of the two dogs of our owners onto a shoe! It features Jenson (our baby Cocker Spaniel) and Roxy (our Golden Retriever) on an amazing print which when launched at the 2017 Blackpool Dance Festivals brought joy, smiles and sales! A version two will be coming soon once we work out a way to include Crumble - the dog of Neil & Katya Jones! This shoe received so much love due to it&apos;s character and uniqueness! The ‘Heather Split’ is a Split-Sole teaching and practice shoe and is widely used across all levels of dancing around the world. It offers comfort, stability and super flexibility is perfect for a shoe that’s worn more than any other shoe for many dancers. Perfect for the long hours spent teaching and practicing.